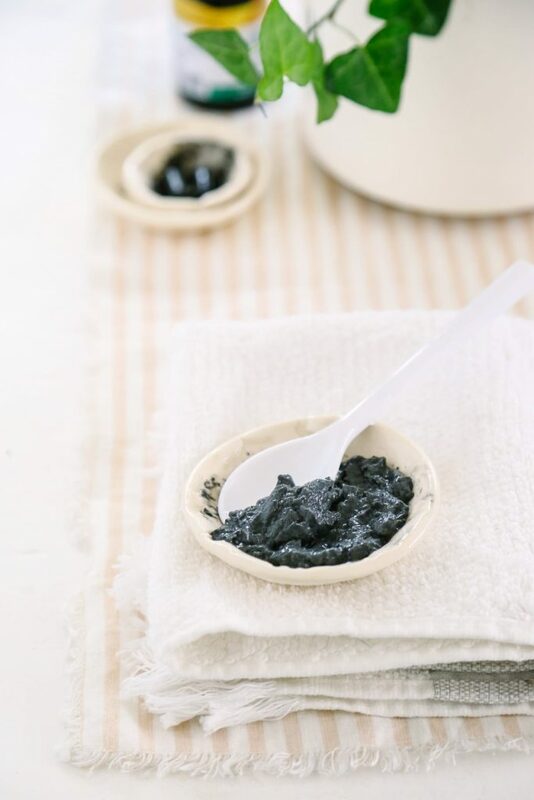 Today’s DIY recipe, Soothing and Cleansing Charcoal Face Mask, has definitely made its way to the top of my What I’m Loving Right Now (mental) list. This mask currently outranks my new found obsession with homemade cashew milk, weekend breakfast tacos, oatmeal and coconut chocolate chip cookies, and my spring moisturizer. And just in case you’re wondering, I’ve got you covered over the next few weeks with those recipe. 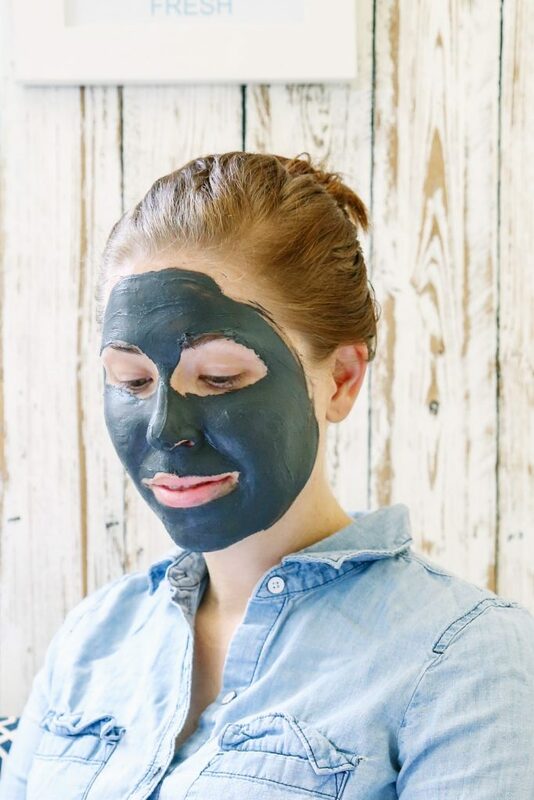 Today, let’s talk about the face mask and its secret ingredient: activated charcoal. A couple of months ago, I decided to take a peek inside my DIY cabinet in hopes of finding something “new” to add to my occasional clay face masks. As I skimmed the cabinet shelf, the little black and white bottle labeled activated charcoal stood out to me, so I decided to grab it along with aloe vera (you know I have quite a love for aloe vera!). Now, a little disclaimer. I wouldn’t categorize myself as a hippie, despite my love for making some beauty and cleaning products at home and drinking kombucha. 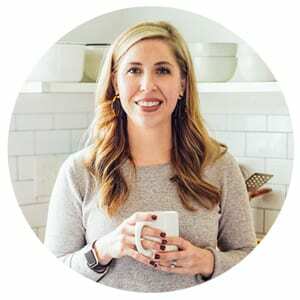 In fact, if we were to randomly meet on the street this afternoon, and you didn’t know anything about this blog, I’d like to think that you’d find my DIY ways very surprising. I just don’t have that hippie look. I know, that probably sounds very stereotypical, so hopefully you understand what I mean. With that said, if I were to choose the one product in my DIY cabinet that is the most “hippie thing” I’ve ever purchased and used, activated charcoal definitely wins! I don’t think the average American family has a small bottle of activated charcoal just sitting around in their medicine cabinet. Activated charcoal was first introduced to our family during a vicious food poisoning saga last year. After six hours of regular trips to the toilet (I know, TMI, sorry), I finally sent Dustin to the local drug store to find a product that a few of my natural friends highly recommended: activated charcoal. When Dustin brought the bottle home I was scared to take the little black capsules inside. They weren’t exactly the friendliest looking little pills. After the seventh hour of food poisoning torture, I opened a capsule, sprinkled the scary powder in a glass of water, and then took a sip. For months and months, that bottle of activated charcoal sat in my DIY cabinet, just waiting to prove its usefulness beyond a bad a case of food poisoning. 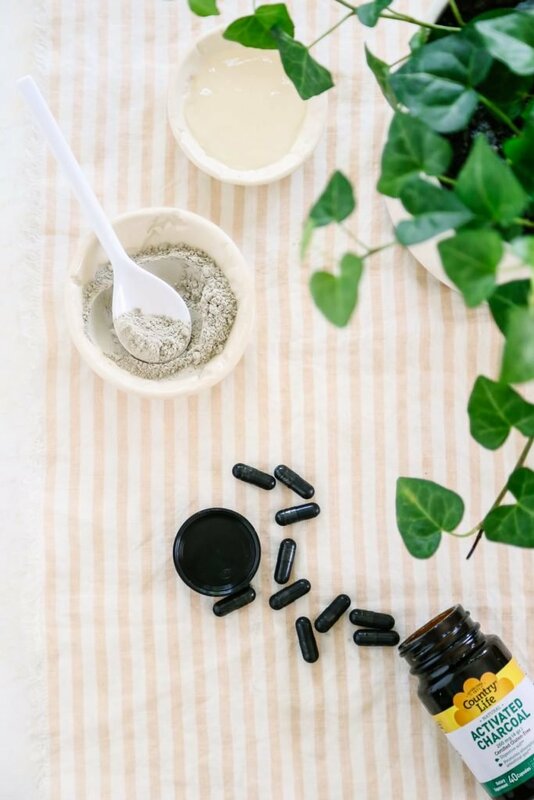 So, what is activated charcoal? Why did it help end my vomiting? And why are we talking about charcoal and food poisoning in a face mask post? Just like the activated charcoal drew out the “bad guys” inside my body during my food poisoning saga, the same powder may attract (unwanted) dirt and oils on my face. And with the hot spring and summer months now here, something that provides a bit of extra cleansing/dirt-attracting power is definitely my friend. So there it is, my friend, the story of how a scary-looking, hippie product became my favorite skincare ingredient of the season. Activated charcoal has become a popular skincare ingredient due to its ability to draw out dirt and bacteria from the skin. To keep this mask gentle and detoxfying at the same time, I’ve used kaolin clay. The charcoal draws out impurities and the clay naturally exfoliates. 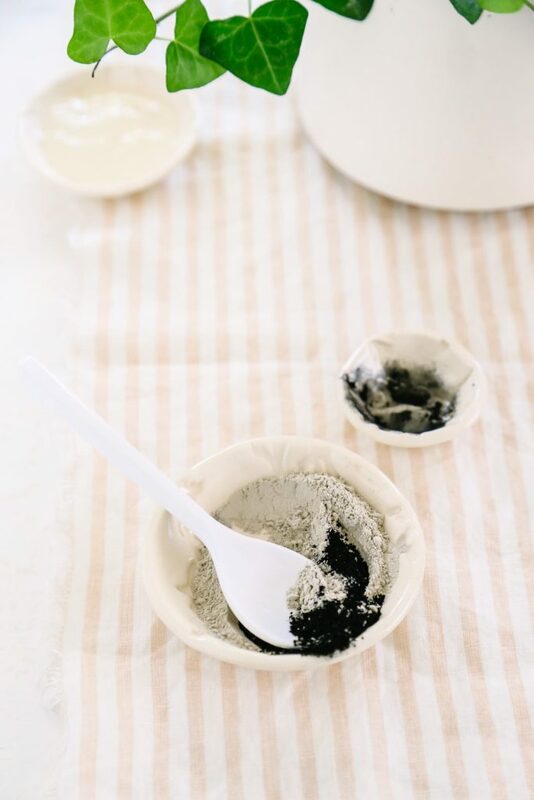 In a medium-size bowl (you'll want lots of room to stir the ingredients), stir or whisk together the clay and activated charcoal powder (from inside the capsules). Discard the exterior capsules. It's important to avoid using metal when working with bentonite clay, so opt for a wooden or plastic spoon or fork. Add the aloe vera gel to the powder ingredients, and stir to combine. The mask should be wet and a bit lumpy (as pictured). If the mask is too dry or hard to stir, add a bit more aloe vera gel until you reach the desired consistency. I use bentonite clay since I keep it on hand for face masks, foundation powder, and even bug bite relief. 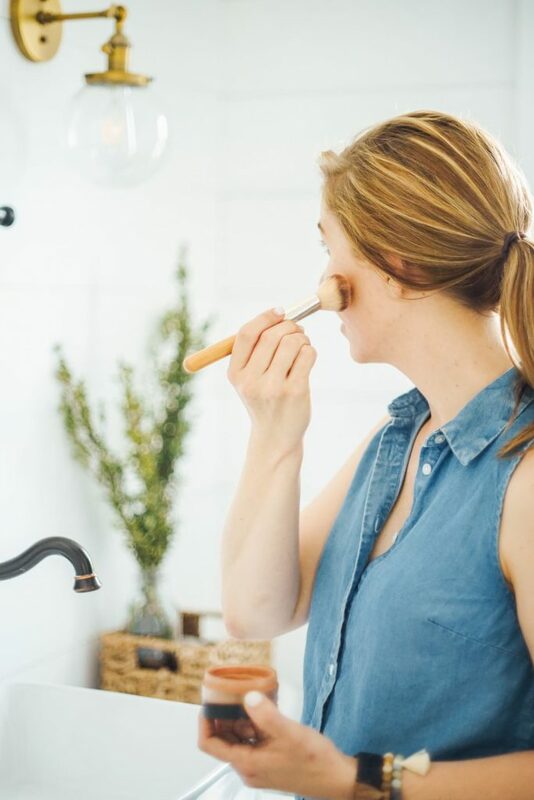 If you don’t want to use bentonite clay, try French green clay. You can learn more about both ingredients, here. Aloe vera is a common ingredient in natural skincare products due to its soothing and antioxidant properties. 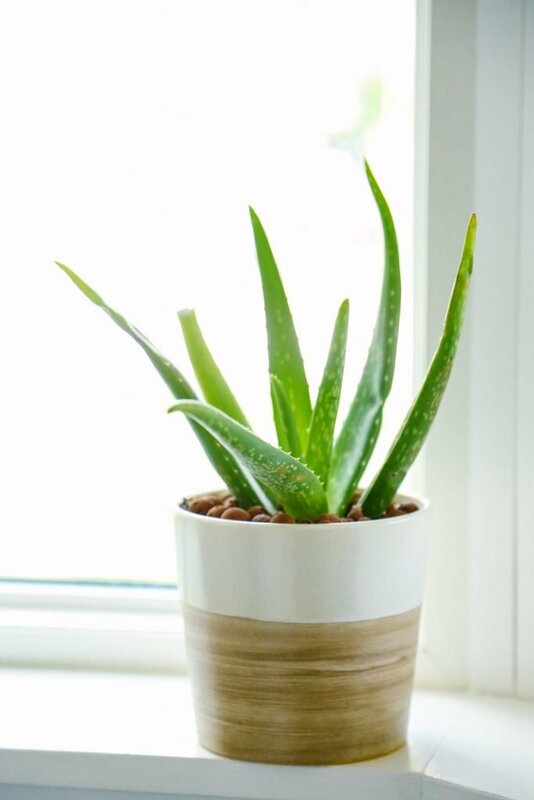 If you’re interested in some of the benefits of aloe vera, this article from Mind Body Green is very insightful. It’s important to purchase a quality aloe vera gel that doesn’t contain a bunch of yucky ingredients. My favorite brand is Real Aloe (sold in health food stores and online). Since this recipe only makes enough for a one-time application, you may also use fresh aloe from an aloe plant in this recipe. If you’d like to enjoy a relaxing aromatherapy experience with this mask, add 2-3 drops of your favorite skin-friendly essential oil with the aloe vera gel. I like to use carrot seed essential oil or lavender essential oil. From my experience, the black charcoal powder easily washes off cloth surfaces once they are washed in the washing machine with laundry soap. After rinsing your face, your washcloth will probably look like it visited your garden and played in the mud. That said, I don’t recommend using your favorite white Anthropologie washcloth to rinse off this mask :). Kristin first of all I love your blog, and no I don’t think you are a hippie. Thank you, Christine ;). I’m so glad you’re enjoying the blog. Great suggestion–I’m adding that to my list! Hello Kristin! 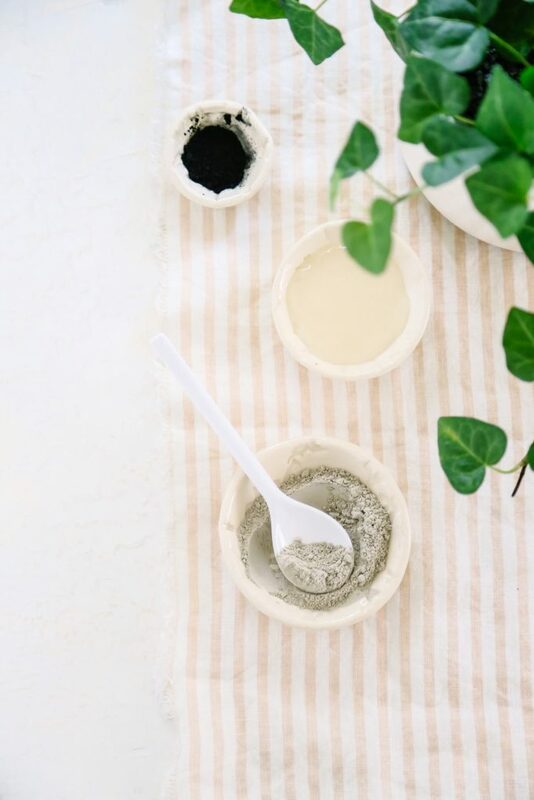 Charcoal and Bentonite clay both are loaded with many benefits. Using both the ingredients in a face mask sounds very good. Love to try this. Great post! Hey Julianne, I’m so glad you found LS! Welcome! Awesome, Lucy! This is such a refreshing mask. Enjoy!! Hi! Do you make this in advance or does it dry out? Hey Esther, I believe it will dry out if you make it in advance. I have a charcoal scrub coming up later this week that can be made in advance. Unfortunately, it wouldn’t work near as well. You can’t really use it as a substitute. Hey! I can’t wait to use this, but I do wonder; won’t it stain my face and hands? I know how messy activated charcoal can get, and was just curious if this was ever a problem for you. Another AMAZING use for charcoal, is brushing your teeth without. It’s truly incredible what it can do. Every two to three days I break a capsule open over my toothbrush and and brush with the powder for 2 to 3 minutes. I then follow with rinsing my mouth with peroxide and brushing my teeth like I normally would. The results: absolutely amazing! I highly recommend this to everyone. Not only does it whiten teeth immensely, it stops plaque built up and rids you of all plaque, it’s amazing for the gums (they don’t bleed for me anymore!) and makes my teeth feel incredible. WARNING: It does stain your toothbrush for a while, and can sometimes stain grout and tile. Hey Bree, Thank you for sharing. I’ve used charcoal in the past for teeth whitening, and can attest to its amazingness. I’m so glad you mentioned it! Thank you so much for your blog, I’ve been reading it for a few years. My face is dry and irritated now- is this mask helpful for that or should I try something more nourishing (and with more oils)? Do you think the weather is causing the dryness, or maybe a product? I personally love this face wash: https://livesimply.me/2015/10/07/homemade-honey-and-aloe-facial-cleanser/. It’s made with aloe and honey, which are hydrating and incredibly nourishing for my skin. I wonder if something with intense moisture would work, too, like shea butter. If so, this lotion/body butter may be really soothing: https://livesimply.me/2014/04/16/homemade-moisturizing-lotion-recipe-no-coconut-oil/. You could even try just applying a small amount of shea butter, as-is to the face, for immediate relief. Thanks for the reply! It’s on my list to make both of those!! My current moisturizer is close to the one you have linked though (I made it last year). I suspect it’s weather related- before I changed my diet to whole foods I had a lot of roseacea and it gets close to flaring up now when the weather changes. I’ve been using straight honey to wash but it’s just not cutting it for now. Hey Dawn, You’re welcome. I hope it calms down soon! Maybe just the shea alone will help with some immediate comfort. 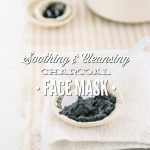 I made the charcoal mask for my husband but with your measurements it was very dry so I added more Aloe. Is that normal. We live in Texas and right now it’s pretty humid not dry. I was perplexed, this was my first experience with the Bentonite clay. Hey April, Bentonite clay can be very drying (detoxifying). You can definitely compensate, especially during the drier season, by adding aloe and even honey (hydrating ingredients). I think that’s the beauty of a homemade mask, you can really tweak the recipe to your skin’s current needs. I was searching for something like this, great stuff you just nailed it 🙂 I will definitely like to mention your recipe on my blog I know it will be super awesome for my readers.